The Virtual Machine Simulator created by Lantek and Vicomtech stands out in the meeting of technology enterprises organized by SPRI. Lantek, world leaders in the development and marketing of CAD/CAM/MES/ERP software solutions for the metal industry, is one of the first Basque companies to lead the “smart factory” challenge. For some years now, Lantek has been developing and implementing systems that allow companies to interconnect all their production processes and departments, through software solutions, in order to efficiently manage all the information in real time. 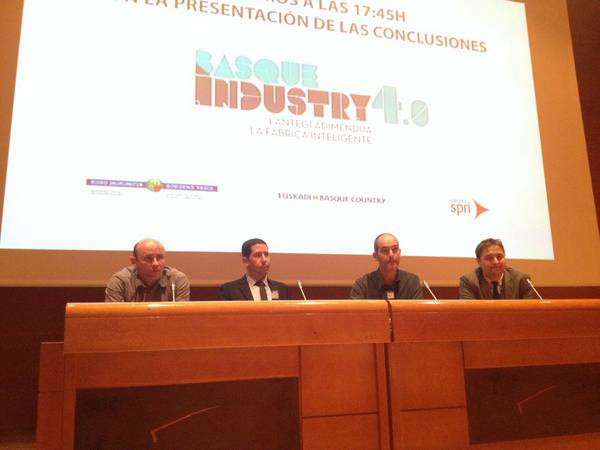 This multinational company, with headquarters in Miñano, has participated in the Basque Industry 4.0 congress, presenting its latest innovation in augmented reality and explaining one of its flagships: the Lantek Factory concept, designed for all those factories that transform sheet metal, tubes or profiles and which, thanks to the Lantex solutions, manage their activity in its entirety, becoming more competitive and productive. The congress, organised by SPRI, analysed the latest trends in additive manufacturing, collaborative robotics, cyberphysical systems, augmented reality, cloud computing and big data. Lantek presented its latest research projects developed by the company from Alava, one of the most outstanding being SIMCUT, the Virtual Machine Simulator for metal cutting process, carried out in extended innovation together with the company Vicomtech. SIMCUT is the result of many years’ collaboration between Lantek and Vicomtech and the response to the continuous demand from metallurgical industries for a solution that will permit reducing costs and which, at the same time, will add value to the process, offering a real preliminary view of the work. The SIMCUT project is considered as an absolute innovation, as currently there is no similar solution on the market. SIMCUT provides a virtual environment that simulates what will occur in the machine before carrying out the final work. With the simulator, the user can see what the final result will be and can take action and react in the case of possible disadvantages or changes, apart from being able to organise and optimise the material with the saving that this implies.